Without a doubt, rhubarb is one of the most versatile foods in the hands of a cook or chef. It can be stewed, roasted, baked or boiled. It is as happy as a comforting, stodgy pudding as it is in a sophisticated jelly. It plays nicely with fatty meats and oily fish makes a delicious jam or partner to hot spices and exotic fruits in a chutney or relish. It can turn from vegetable to wine, add a glow to vodka or a blush to a summer cordial. How many other vegetables do you know that can do that? One of the loveliest ways of cooking rhubarb is to not stew it which is the more traditional way but to roast it. Roasting rhubarb intensifies the flavor, retains the vibrant color, and helps to hold its shape. None of which can be achieved by stewing. The best rhubarb to use for roasting is the Yorkshire Forced Variety. but is possible to use summer rhubarb though the results are not quite as astonishing. 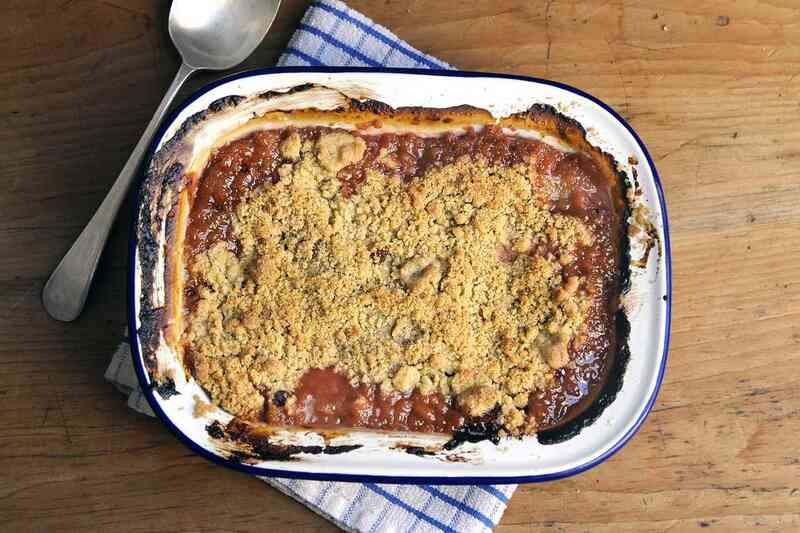 Roasted Rhubarb Recipe One of the best ways to use roasted rhubarb is in a crumble. If you are more used to the classic Eton Mess then you are going to love this recipe using delicious rhubarb. The cream and crushed meringue are still there but you will also find bits of ginger cake, ginger, and rhubarb work so well together. The added beauty of this dessert is it is supremely easy to make especially if you use ready-made meringue nest. Rhubarb Mess Recipe As an alternative to Mess in a dish, turn it into a tart, use the recipe above in place of the strawberries. If you think rhubarb only belongs with custard and cream, then think again. 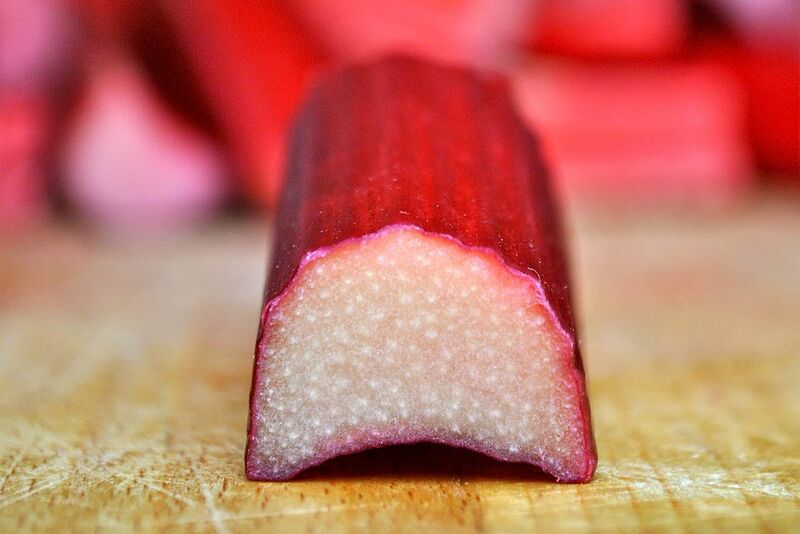 One of the reasons rhubarb is so versatile in the kitchen is its ability to marry so well with oily fish and fatty meats. Pork is a real winner for this combination, as too is mackerel. This quick and easy pan-fried mackerel with roasted rhubarb is simply delicious and stacked with goodness from the healthy, oily fish and the fresh rhubarb.